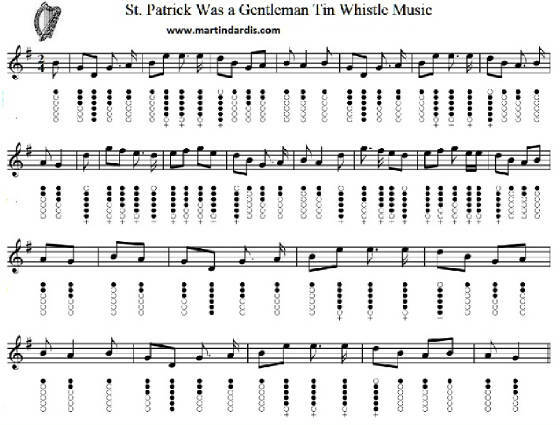 Saint Patrick Was A Gentleman Tin Whistle Sheet Music Song Notes, recorded by The Wolfe Tones. Traditional. The first version is the one that's suitable for the whistle. Second version below is not really for the whistle.